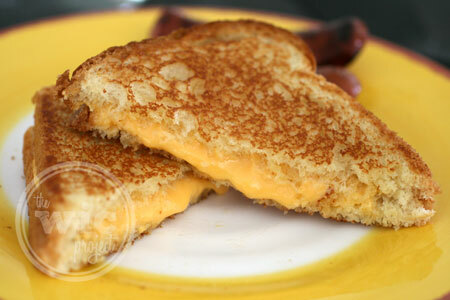 It may sound crazy to some, but I only started cooking grilled cheese sandwiches recently. I wasn’t always a fan of cheese (nor of butter, oddly enough) which meant that two of the three key ingredients to grilled cheese sandwiches were no-gos for me. While I was getting the hang of things, I found that I didn’t always get that perfectly golden crisp that is the trademark of a perfect grilled cheese sandwich. 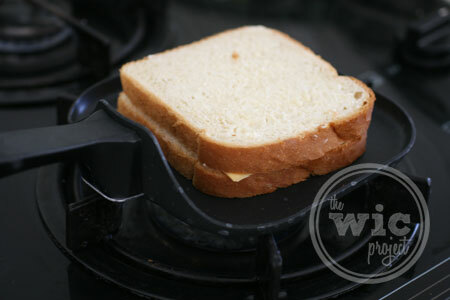 Then, I received the T-fal 6.5″ Mini Cheese Griddle, and my grilled cheese sandwiches changed forever. 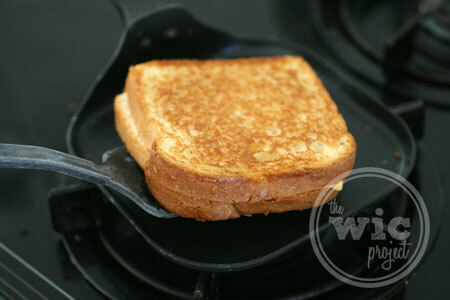 The perfect size for a sandwich, the T-Fal Mini Cheese Griddle was flat, allowing the heat to distribute evently across the pan and making the bread toast up evenly and all the way to the edge of the bread. It also mean that it was easy to slide the spatula under the sandwich when it was time to flip. The non-stick surface helped prevent my sandwiches from sticking, even if some cheese overflowed from the edge of the sandwich. 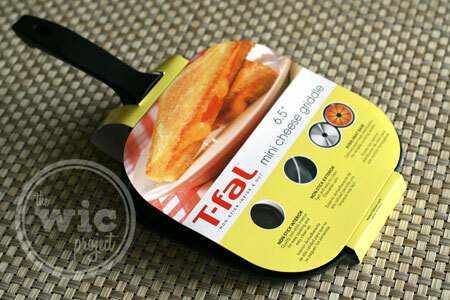 As an added bonus, the T-Fal Mini Cheese Griddle is also dishwasher safe for easy clean-up. For larger grilled cheese sandwiches or to cook up several sandwiches at once, T-fal also offers a 10.25″ Grilled Cheese Griddle and a Family Griddle. If you’d like to try the T-fal 6.5″ Mini Cheese Griddle to help make the perfect grilled cheese sandwiches, you can find it at retailers nationwide. It’s also available on Amazon for just $6.97. Love this T-Fal griddle! Have not made my own grilled cheese sandwich but this will make it more fun! I like grilled cheese sandwiches. I forget that I like them and don’t do it very often. 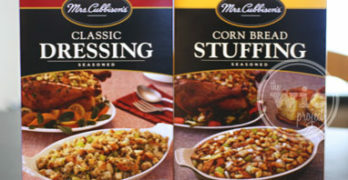 I just use a small frying pan that seems to work just fine.